Hello from a new owner. Stuart Cohen and I, Vicki Ross have bought #902 and are thrilled to be new owners in the building. 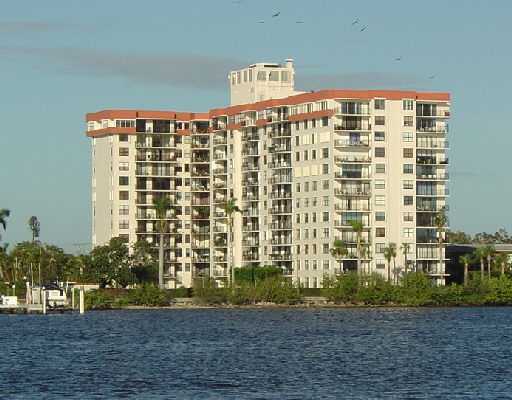 We have a one bedroom that has a beautiful view of Palm Beach and the Southern Bridge. We can spy onto Mar a Lago and The Bath and Tennis Club. We are planning on spending all our free time down in WPB but we live up north and still work up here. I was in the fashion business for many years and still do some consulting and am doing a lot of pr social networking. Thus a blog and a twiiter to come. Stuart lives in Hudson, NY and is in Public Relations after being a fashion journalist. We would love for you to use this blog to discuss things, invites to special events or just to comment or gossip …we are good at that.